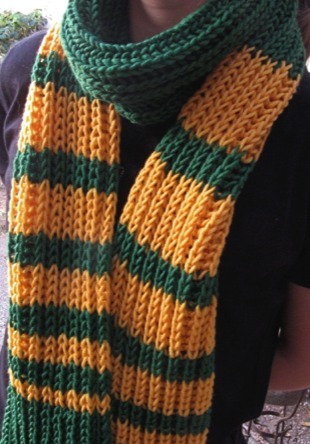 We designed this super fun scarf with gradually increasing stripes at each end and a solid center. Great to wrap and flip. For him or her. No these are not ribs! There are so many things to love about this scarf that we had to list them all for you! - It is completely reversible! No color changes show on either side. - It lies perfectly flat. No rolling edges. - It is super simple but not boring to knit. Size: 5" wide and up to 68" long.